Learn how to capture incredible images in challenging lighting situations. There are unique and creative opportunities around every corner. Expand your mind and embrace the dramatic lighting without flash or a tripod. This 2-hour group photo tour is a unique, in-the-field photography learning experience. Groups are kept small for personalized attention. Participants receive hands-on instruction from a photography professional, with the sights of beautiful Portland serving as their classroom. Your guide has been a professional photographer since 2001, capturing 500+ weddings and 200+ portraits, as well as providing instruction to 2000+ photography students. 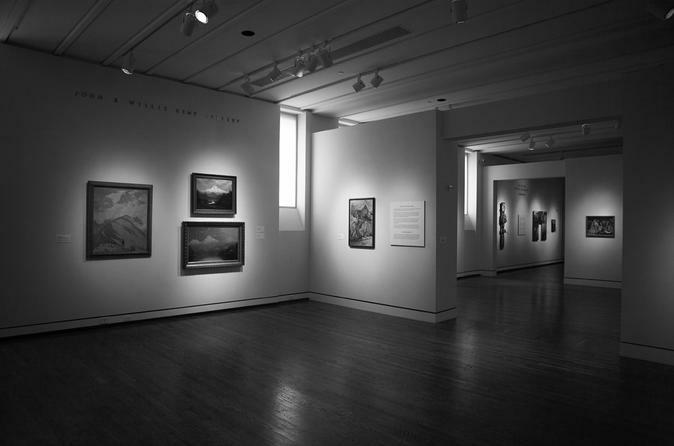 Low Light Photography at the Portland Art Museum is perfect for beginner to advanced hobbyists. This photo tour is a fun and educational experience, as well as the perfect way to take in one of Portland's most popular attractions. Bring your fastest wide angle or standard lens. Bring a lens cloth if you have it. No camera bags larger than 11 x 14 or any backpacks. If you have them, they will need to be checked.